Some mistakenly believe that the only legacy-planning documents needed in Texas are (a) a will or (b) a will and a trust. While these instruments do control the administration of an estate after an individual’s death, they do not and cannot fully address all of the end-of-life issues that may confront the individual and his or her family, nor do these instruments sufficiently address what happens if a person is incapacitated or disabled and can no longer care for himself or herself. The Texas Legislature has promulgated a series of statutory guidelines and forms meant to address end-of-life issues and the incapacity or disability of an individual. Some of the most-used forms are described below. · Statutory Durable Power of Attorney. Chapters 751 and 752 of the Texas Estates Codeset out the statutory framework for a durable power of attorney. Generally speaking, a power of attorney is an instrument that sets out whom an individual (the principal) would like to be able to act on his or her behalf (the agent) for business, financial, and legal matters. The power of attorney is “durable” if allows the agent to continue to act as agent when you are incapacitated or disabled. The statutory form for a durable power of attorney sets out 14 different types of transactions that can be covered by a durable power of attorney in Texas, such as real property transactions, personal and family maintenance, and litigation. The statutory durable power of attorney can be made to be effective either immediately upon signing or upon the principal’s incapacity or disability. Please note, however, that this power of attorney does not survive an individual’s death—it is only effective during the life of the principal—and does not give the agent the power to act when medical decisions are involved. · Directive to Physicians/Living Will. The Advance Directives Act (found at chapter 166 of the Texas Health and Safety Code) sets forth the guidelines and form for what is colloquially known as a living will. The form of the directive allows the signing individual to make his or her wishes known as to treatment in two situations: (1) if the individual is suffering with a terminal condition from which the person is expected to die within six months, even with life-sustaining treatment; and (2) the individual is suffering with an irreversible condition that prevents the individual from caring for himself or herself or making decisions, and the individual is expected to die without life-sustaining treatment. The choice in both circumstances is between hospital care to keep the person alive or hospital care to keep the person comfortable (i.e., palliative care). · Medical Power of Attorney. Chapter 166 of the Texas Health and Safety Code also sets out the statutory framework for a medical power of attorney. The legislature’s form gives the individual (the principal) the option of creating an order of agents to make health care decisions for him or her if (1) the individual is unable to make his or her own health care decisions and (2) this fact is certified in writing by the individual’s physician. So long as the individual retains the ability to make his or her own health care decisions, the medical power of attorney does not come into play. In other words, medical treatment cannot be given or stopped over the individual’s objection. · Declaration for Mental Health Treatment. Similar to theliving will, the Declaration for Mental Health Treatment (in chapter 137 of the Texas Civil Practice & Remedies Code) allows an individual to make his or her wishes known about the type of mental health he or she will permit if a court determines that the individual lacks the capacity to make mental health treatment decisions. · Declaration of Guardian. Chapter 1104 of the Texas Estates Code sets out the statutory framework for the appointment of a guardian by a Court. Like a medical power of attorney and a statutory durable power of attorney, an individual can make his or her wishes known about whom he or she would like to serve as a guardian (or who should be disqualified from serving). The legislature has promulgated separate forms depending on whether the designation is for an adult or by parents for their children. · Out-of-Hospital Do-Not-Resuscitate. Some individuals have determined that they do not want to be resuscitated if confronted with a potentially life-ending episode. To allow non-hospital personnel to heed these wishes, the Texas Department of State Health Services has promulgated a form that can be filled out to make that individual’s wishes known. The form is available at https://www.dshs.texas.gov/emstraumasystems/dnr.shtm#form. Please note that this form is only applicable to health care being provided outside of a hospital setting, such as in a physician’s office, hospital clinic, or emergency department. · Appointment for Disposition of Remains. In section 711.002 of the Texas Health and Safety Code, the Texas Legislature sets out an order for determining who has the right to control the disposition of a decedent’s remains and is liable for the costs of the decedent’s interment. The Legislature, however, has promulgated a statutory form allows an individual to determine his or her own order of agents to make decisions as to the disposition of his or her remains and to limit the powers given to that agent. Unlike the other powers of attorney discussed in this article (which terminate upon the individual’s death), this appointment does not take effect until the signing individual’s death. 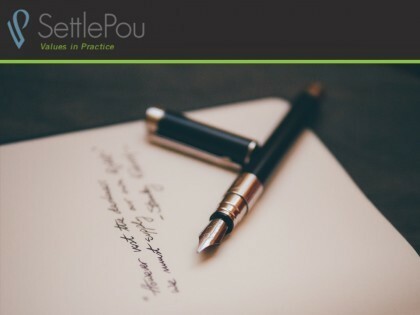 If you would like us to assist in all of your legacy planning or you would simply like more information regarding the types of legacy-planning documents discussed here, please contact Marsha Dekan at mdekan@settlepou.com.